In today’s technologically ridden world, it seems that most people want to know the exact path that lies ahead. Whether you’re getting lost intentionally or unintentionally, metaphorically or literally, it’s a good idea to carry with you the Garmin GPS 64st. It won’t tell you how to get from point A to point B, but it will definitely show you where you are in the present moment. And perhaps, with the way technology seemingly takes us out of that present moment, this will inspire you to again appreciate where you are standing and not where your destination is. There are so many features included in the 64st that if I tried to include them all, this write-up would quickly turn into a novel. Physically, the 64st is perfect for any adventure we may find ourselves on. It is comfortable in the hand, perfectly sized for a pack or jacket pocket, and encased in durable rubber. We are huge fans of buttons rather than a touch screen, as we can use it throughout all four seasons. The screen is a good size (2.6 inches) and easy to read in any type of light without distractions from glare. Technologically speaking, the Garmin 64st is loaded with functional, fun, and user-friendly features that make for safe and amazing adventures. One of Tyson’s favorite features is the Smart Notification. Through Bluetooth connectivity (iPhone 4s or later), you can wirelessly receive text messages, emails, or phone call notifications from your phone on your GPS. This is huge when we are mountain biking or dirt biking. Instead of cluttering the handlebars with technology, the only thing that needs to be mounted is the GPS. We don’t really need to see text messages or phone calls when we are out enjoying the outdoors but for emergency situations, this is a really neat feature. 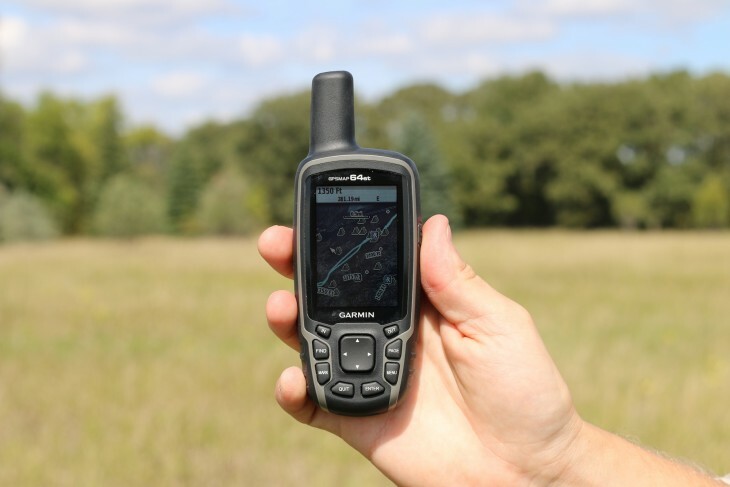 Among other things, the Garmin 64st comes preloaded with TOPO U.S. 100K maps and includes a one-year subscription to BirdsEye satellite imagery. Most people today are probably more accustomed to finding their way with satellite imagery rather than TOPO maps. While it’s a good idea to know how to read topographic maps, BirdsEye gives the user the option to see everything with satellite imagery. The one downfall of the BirdsEye is that we feel as though it takes a while to upload mapping areas. It is an application that you download on to your computer. Once on the computer, you go in and dedicate which areas of the U.S. you want BirdsEye for. For instance, if you are taking a trip out to Moab, Utah, you can select the area that you will be exploring, download that selected area, and then upload to the GPS. You will only have satellite imagery for the selected area but it is then very easy to figure out where you are based on landmarks etc. The satellite imagery is very nice and user-friendly but what we love even more than satellite imagery is the Custom Mapping feature. We have a lot of really nice, detailed, and informational mountain biking maps of the Moab area. Instead of carrying a GPS and multiple paper maps, Garmin has come up with Custom Mapping. You can scan to your computer a paper map, overlay the paper map on the satellite imagery matching it up exactly, and uploading that layer to the GPS. This is an amazing feature that is not only efficient but you will have less to carry and instead of trying to match your GPS with your map, it is all on one device and tells you exactly where you are. 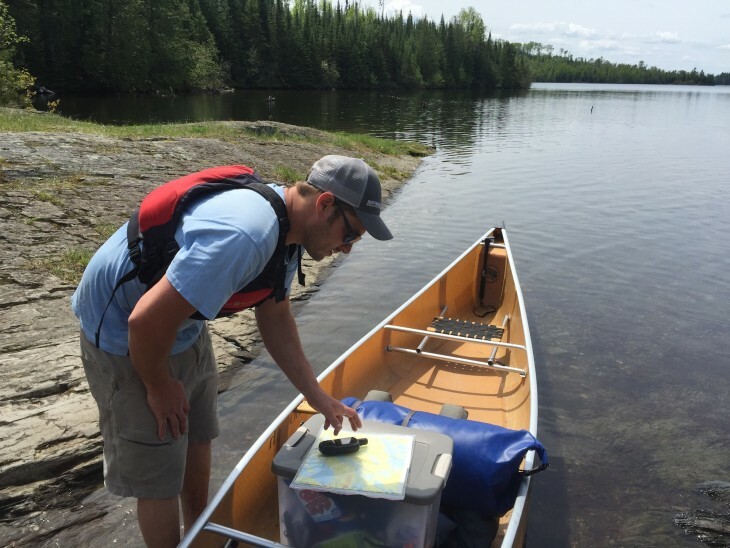 For those of you that are outdoor adventure bloggers, there is a really cool feature that allows you to invite your readers, families, and friends along for the adventure. Via Garmin Connect, your readers can track your adventure in real time. While this is a cool feature for your friends and family, it could also be helpful in an emergency situation. 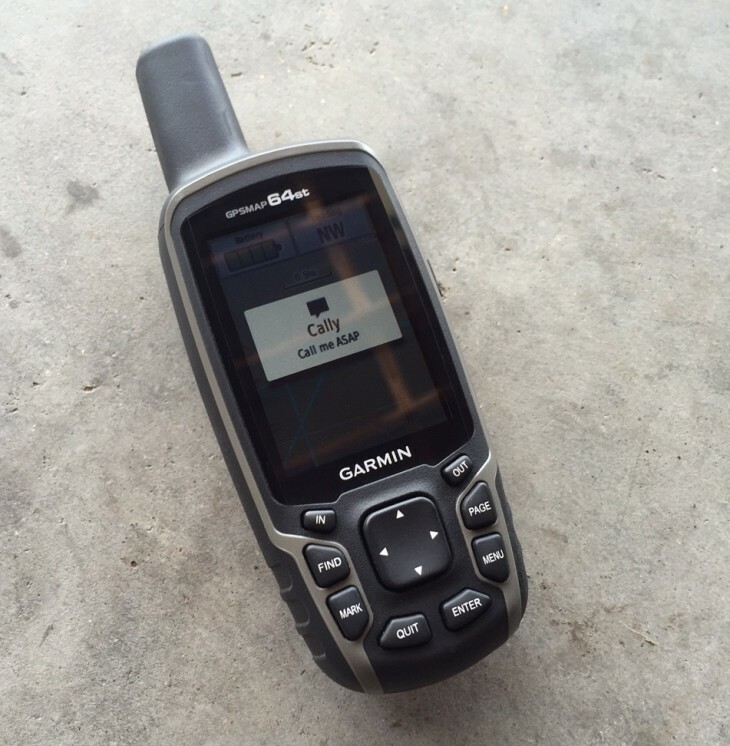 The versatility of the 64st is remarkable and will make you grateful for Garmin’s forward thinking ideas. 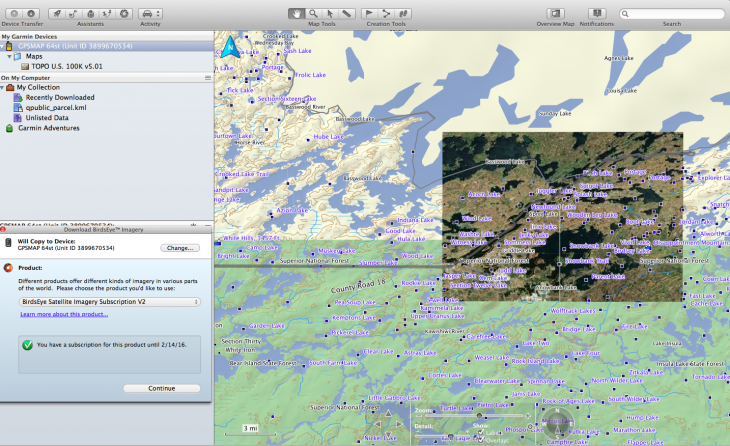 Not only can you view terrain in topographic form or satellite imagery, you can also download marine maps or road maps. Perfect for worldly travel, backcountry adventures, or everyday use, it’s easy to prove that this is the only GPS you’ll need. It is evident that the features of the Garmin 64st are user-friendly and functional and that this is indeed a feature-packed, versatile GPS to pack with you on any adventure. 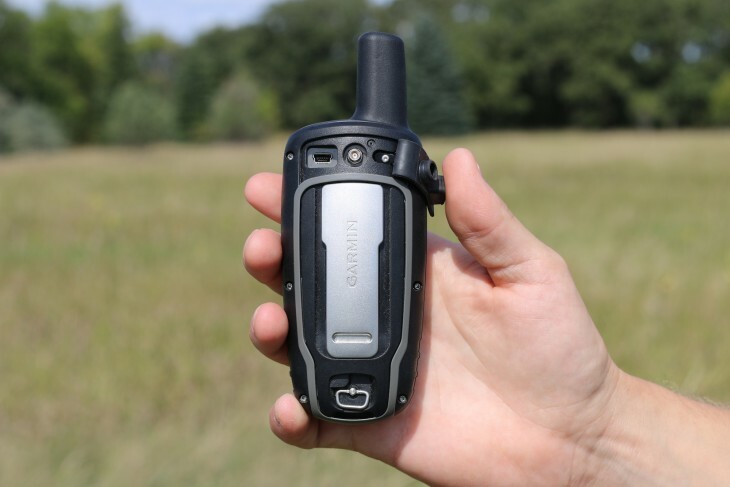 Garmin has a diverse and extensive line of GPS products so be sure to check them out to make sure you get the GPS that most fits your lifestyle. If you love to explore the outdoors in a wide array of fashions (hike, bike, dirt bike, canoe, sail), the 64st will be a great companion to have out there with you.